Imagine that you’ve recently completed some solid training in proofreading and/or copy-editing, and you’re looking forward to your new existence as a fully fledged editorial professional. But wait! How can you be sure you’re correctly applying all that you’ve learned? One of the best places to learn is on the job, but this can be particularly stressful when you’re starting out. You want to be sure you’re doing the best work you can for a paying client – not only to offer them a good service for the money, but also to secure repeat business. Here are some tips for getting valuable proofreading or copy-editing practice when you’re starting out, or if you’re expanding into new areas – without risking your reputation on a live job. Once you’ve undertaken enough basic training, one further training route that the SfEP offers its members is mentoring (as do some other editorial organisations, such as EAC). You can be mentored in general proofreading or copy-editing, and there is now also the option of specialist mentoring in areas such as fiction, biomedical journals, law and music. Your mentor will send you exercises to work on (usually extracts from material they have edited previously) and will then provide you with detailed feedback and guidance on your strengths, as well as where you need to improve, over the course of several months. On successful completion of mentoring you will be awarded points that can be used towards upgrading your SfEP membership. You might choose to carry out practice in the form of further self-study after completing more formal courses. One book that comes highly recommended and has been used by many proofreaders when starting out is Advanced Professional Member Margaret Aherne’s Proofreading Practice: Exercises with model answers and commentary. Those of us who work freelance can lack opportunities to simply lean over and ask a more experienced colleague for help if we get stuck, or if we don’t know where to turn to support an editorial decision. One ever-reliable source of information on best practice is the SfEP forums. You can ask your own question as it arises, or search the extensive archives to see if the topic has been discussed before. (Often, it has!) Alternatively, read the forums regularly and see what others are asking. Sometimes the battle when trying to improve as an editor is not finding the answer to a particular question – it’s finding out what questions it’s necessary to ask. The SfEP forums aren’t the only places to go for advice. Other online forums, such as the Editors’ Association of Earth Facebook group, are also invaluable and easily accessed sources of advice and support, and can provide a slightly different perspective. 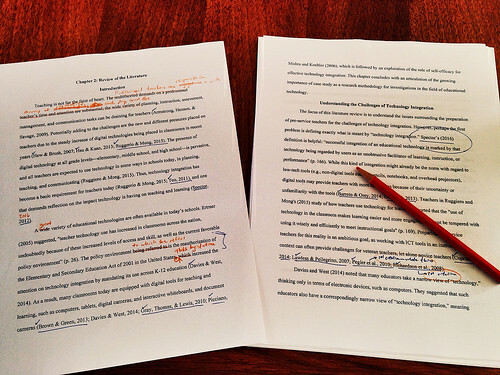 This is one method that does require a live job and a dash of good fortune, but sometimes as a proofreader you will be lucky enough to see the work of an editorial professional employed earlier in the process, such as the copy-editor or the development/commissioning editor, as part of your proofreading or copy-editing job. Even a small insight into how someone else – perhaps someone considerably more experienced – works can be illuminating. Don’t simply collate what’s there, or skip over it – try to understand why editorial decisions have been taken, and what the implications are for you and the wider publishing process. If you are able to attend a local SfEP group, this could provide an ideal opportunity to pick colleagues’ brains about best approaches to work. Perhaps you could suggest sharing examples of how group members have tackled real-life jobs, or short extracts from them … NDAs and client confidentiality permitting, of course. It sounds obvious, but it can be easy to overlook the need to read voraciously, outside of actual work. If you specialise in particular types of editing work, and most of us probably do, it’s obviously important to read widely in these areas – but really, almost any kind of reading will help to train your eye and help you to know what good writing looks like (and what it doesn’t). And let’s face it, it’s not as if more reading is a chore for most editors! This might sound obvious, but you can’t ever have too much practice. It’s possible to get up to speed with the basics of editing fairly quickly, but it can take years to get really good. You never stop learning, even over the course of decades – technology and software move on, and editorial fashions and tastes change. Keeping up to date with innovations and reflecting on your practice never stop being important. By Liz Jones has been an editor since 1998, and full-time freelance since 2008; she is an Advanced Professional Member of the SfEP. 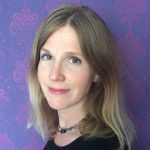 She specialises in trade non-fiction, fiction and educational publishing, but also works with a range of business clients and individuals. When not editing she writes fiction, and also blogs about editing and freelancing at Eat Sleep Edit Repeat. Image: Photopin. Creative Commons (license). This entry was posted in Getting started, Professional development, Training and tagged CPD, mentoring, training on August 4, 2016 by Abi Saffrey. This post has been incredibly helpful Liz. Thank you so much for sharing it! I am just about finished with my editing certificate (from Simon Fraser University) and have begun taking on as much volunteer work as I can. Thanks, Micayla (and apologies for the slow reply). I’m glad you found it helpful, and good luck!